Everyone knows about Eastern Washington, Northern Iowa and Richmond this past weekend. As so often happens seemingly every year, the best of the best in FCS surprise everyone but themselves in the first week of the college football season, taking down members of the “Power Five” conferences that didn’t see it coming – Washington State, Iowa State, and Virginia. The funny thing about this upcoming week is that this time, it might be the “Group of Five”‘s turn. As juicy as last weeks’ FCS vs. FBS matchups were, this weekend sees some more juicy matchups as well that shouldn’t be forgotten. Let’s talk about them. Talk about two teams running in different directions. The Seawolves, fresh off a strong defensive effort in a 13-9 home win over nationally-ranked North Dakota, have the look of a team that could rise up and challenge the established powers in the CAA. DB Jaheem Woods, with his 3 sacks last week, showed too that he’s a player to watch on this suffocating defense. Enter into this equation Temple, who got stunned at home by Army last weekend 28-13 in a game where the Owls came out flat and never really recovered. It seems really unlikely that the Owls will be able to dominate Stony Brook’s defense more than they did Army’s. 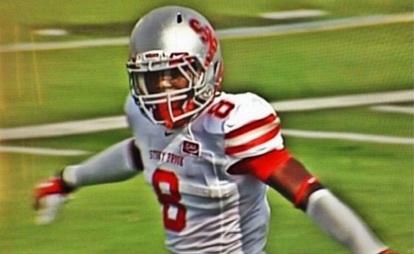 Can Stony Brook for the second straight week find enough points to add an FBS win to their win over a nationally-ranked FCS team? San Diego State in 2013, Miami (OH) in 2016? The Redhawks are at a crossroads. Arguably the worst team in FBS the last two seasons, head coach Chuck Martin took the words “youth movement” to its logical extreme when became Miami (OH)’s head man in 2014. In two years, after installing mostly “his guys”, a team filled with freshmen and sophomores limped to a 5-19 record. Now Miami (OH) is at a crossroads at Year 3. Is this the year that the Redhawks jump to the upper tier of the MAC, and compete for a bowl spot? Sure, the Redhawks played better than expected last week against a top team in FBS, the Iowa Hawkeyes, though most of their positive yardage and production came after Miami (OH) fell behind 35-7. The Panthers lost last weekend, too, but Eastern Illinois’ performance against Western Illinois was nothing to shake a stick at. It’s admittedly a high-risk, high reward pick, because Miami (OH) won’t be a team that is short on experience, and they could be a lot better than advertised. But the achillies heel of the Panthers – rushing defense – isn’t something that Miami of Ohio may be able to exploit all that well. They haven’t won against this opponent at home since 1983, and the last game they played was so lopsided – a 38-17 defeat – the athletic department couldn’t bring themselves to schedule them again. Is that the narrative of an FCS team being tired of being kicked around by an ostensibly bigger, stronger, more scholarshipped school? Try again. Lousiana-Lafayette, a former Southland Conference team that stayed in FBS when the Southland conference elected to compete in what was then called I-AA, hasn’t had it easy with McNeese over the years. Worse, the Cowboys, who are now undefeated in their last eleven games, look like they haven’t missed much of a step after a 33-3 throttling of Division II Tarleton State to open the season. 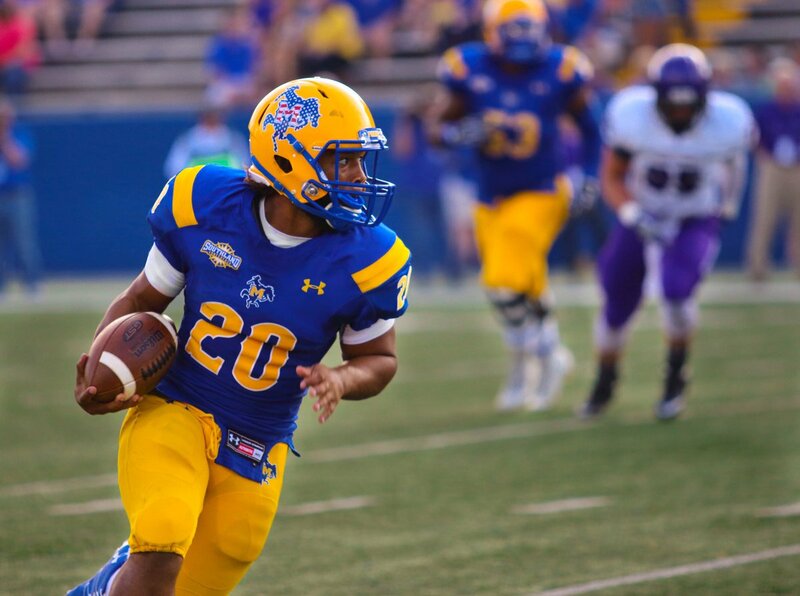 Transfer quarterback James Tabary, going 19 for 29 with 254 yards and 2 TDs, had a fine debut and looks ready to prove Arkansas State wrong for letting him transfer to McNeese. The Ragin’ Cajuns, on the other hand, were on the receiving end of a throttling by Boise State, to the tune of 45-10 and won’t be in the best of mindsets when a nationally-ranked FCS team comes to town. The recipe is definitely here for some open-fire Cajun shrimp, a Cowboy specialty over the years. Speaking of 45-10 losses, hello, San Jose State, who traveled to Tulsa last week and got throttled by that same score. Their reward for their throttling? A team that, based on last year’s performance, instills fear in FBS opponents that dare schedule them. It’s difficult to say which win was more impressive: their opening day win over Washington State 24-17 (and thus setting a new college football tradition, as in which is the FCS school that will beat Washington State to open the season this year?) or their deep humiliation of North Texas in the biggest-ever FCS over FBS beatdown in history, 66-7. Quarterback Alex Kuresa, the triggerman in last year’s FBS slaughters, is at the helm again, and you know that he, and the other seniors on the team, have zero doubt that they can do it again. Against a struggling San Jose State team, you have to think that the Vikings are the favorites. It’s no secret that I love picking against FBS schools in trouble, and Hawai’i fits that bill perfectly. With public debate on whether the Rainbow Warriors should continue sponsoring FBS football, the entire athletics department operating deep in the red, and a brand-new head coach in his first year, Hawai’i will almost certainly be bad all season, and already, with a pair of losses against Cal and Michigan where the Rainbow Warriors gave up a grand total of 114 points, things look real bad. Bad enough to lose to UT Martin, though? The Skyhawks’ defense showed that it could be a very strong one in the OVC, holding highly-regarded Cincinnati last week to a 7-7 deadlock before the Bearcats finally wore them down for a 28-7 victory. Safety Tae Martin, with 12 tackles and 2 tackles for loss, really shined. If transfer QB Gunnar Holcombe and WR Caylon Weathers can do half as well against Hawai’i’s porous defense as Cal and Michigan, it’s easy to see a possible Skyhawk vitctory here, as long as they can keep their minds off the beaches and on the playing field. North Dakota State 30, Eastern Washington 27. The Eagles will find it hard to get up for a second game on the road, but they’ll still make it close in the dome. Northern Iowa 27, Montana 14. The Griz struggled with St. Francis (PA) at home last weekend, which isn’t exactly a great way to head into the tough confines of the UNIDome this week. Northern Arizona 31, Western Illinois 21. Thought perhaps I should pick a clean Missouri Valley sweep of the Big Sky here, but think that the Lumberjacks, who are sneaky good, might be the team that bucks the trend. Furman 29, The Citadel 27. Desperate to not start 0-2, this critical SoCon matchup might be the FCS game of the week that few are talking about but could have the largest impact. The Paladins, who scared the pants off of Michigan State before falling late 28-13, are going to be a very tough out in the SoCon, and I think the Bulldogs fall this week.